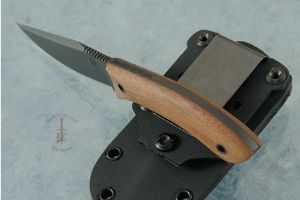 Blade height (at heel): 1.03 in. 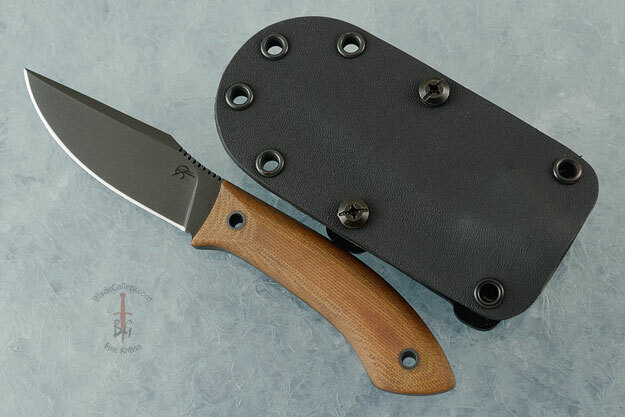 The Every Carry is a compact fixed blade. It is the result of an epic and laborious collaboration between the Winkler Knives team and Mastersmith Jason Knight. Jason's style is immediately recognizable so it's no surprise these are expected to be a very popular collaboration! Jason's maker's mark is on the left side of the blade. 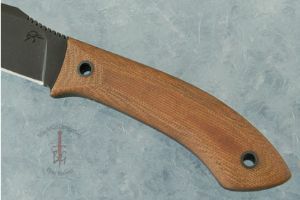 The Winkler Knives mark is on the right side of the blade. 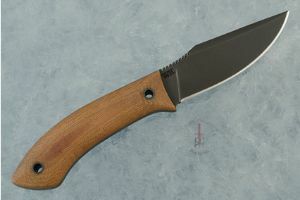 The blade is formed from high performing 80CrV2 carbon steel with a non-glare Caswell finish. A full tang ensures strength and durability while an aggressive distal taper provides perfect balance. Jimping along the spine and contoured handle scales provide plenty of traction in a variety of grip options. A lanyard hole allows for the easy addition of paracord for extra retention in hand. The versatile Kydex sheath can be worn vertically or horizontally for right- or left-hand draw with simple adjustments. It is fully MOLLE compatible. 0.078125 0.01611328125 78.125 16.11328125 Trailer Started.